Time at last to draw back the curtains on another of my harebrained schemes. 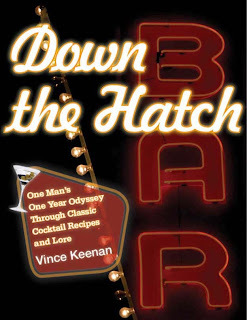 Coming to Kindle on Tuesday, October 1, it’s ... Down The Hatch: One Man’s One Year Odyssey Through Classic Cocktail Recipes And Lore. Honestly, it was worth the effort just that cover alone, a beauty designed by my friend and Noir City colleague Michael Kronenberg. Down The Hatch collects the first fifty-two Cocktail of the Week posts, revised and updated. There’s more than fifty-two recipes, though, because I’m just that generous. Also included is an introduction explaining how I came to the cocktail party late in life and refuse to go home. 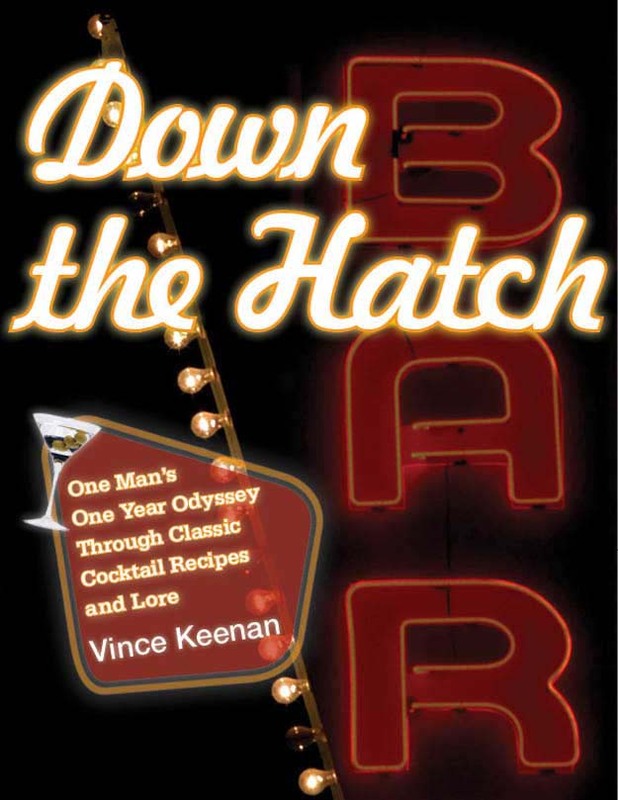 Fancy a good cocktail, and a well-told-tale to read while you sip it? This is the book for you. Vince is obviously passionate when it comes to cocktails, and he does a damned fine job of telling us how everything came together for him in this great compilation of fine drinks. What, you’re not going to listen to Gaz? I’m giving you two weeks’ notice. Adjust your schedules and plan accordingly.